When not playing basketball, Damian Lillard also raps. 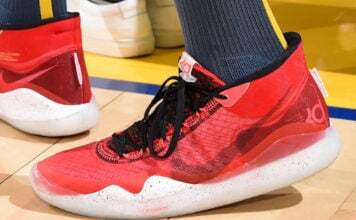 While in the past NBA players have tried to dabble in the market, the difference here is that Dame is talented. 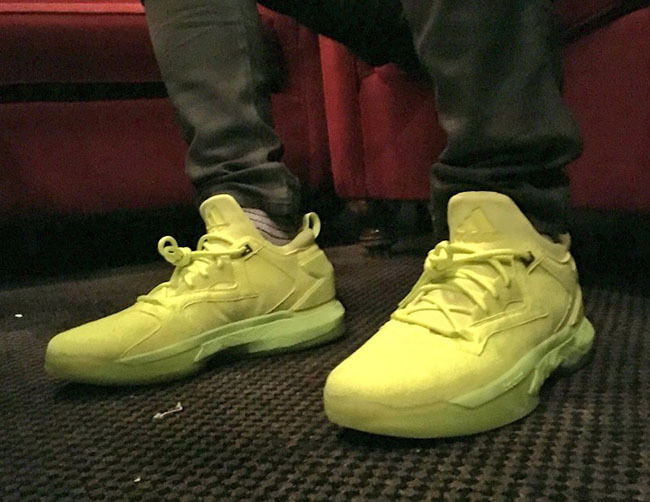 While performing at a sold-out crown at Porland’s Crystal Ballroom, he wore the adidas D Lillard 2 ‘Tennis Ball’. 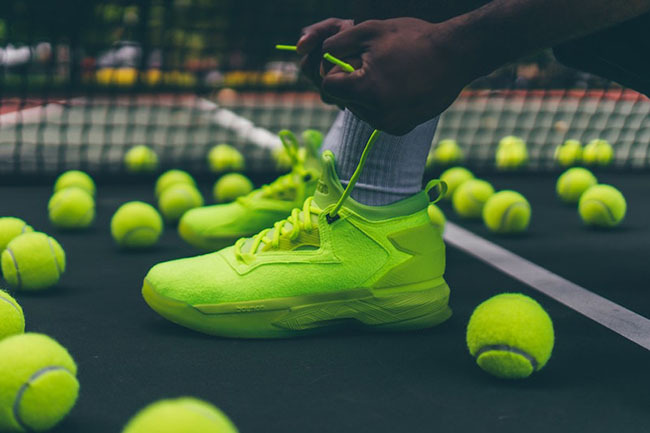 Although the Tennis Ball look as been done before from other brands, we have yet to see it land on the adidas D Lillard 2 until now. 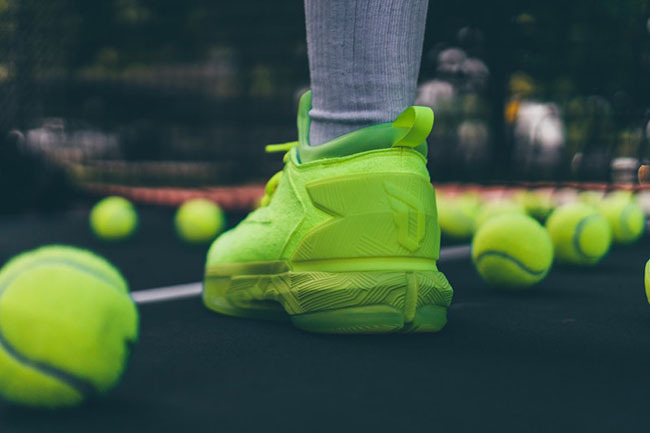 As you can see, the bright shade of Volt that resembles a tennis ball covers the entire shoes with the exception of the top eyelet which appears to be Gold. 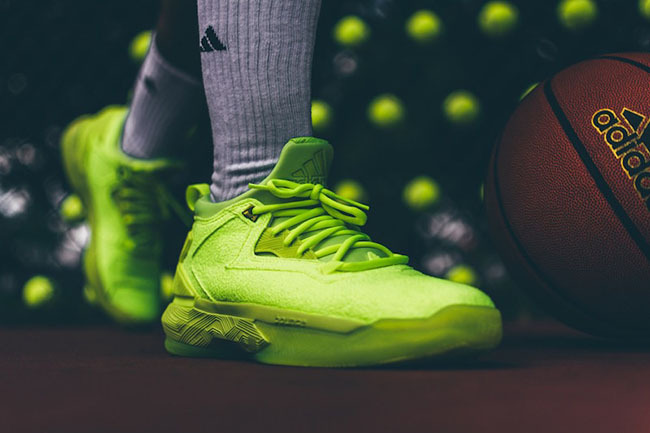 The Tennis Ball adidas D Lillard 2 will release on August 30th, 2016 only at Foot Locker located in NYC on 34th Street. 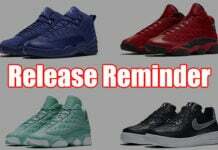 Retail price will be $105. 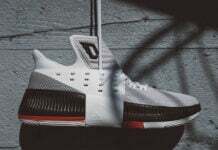 Below you can check out more images of the shoes and if they become widely available, we will make sure to let you know.